The world is getting smaller and smaller, that’s certain. It’s easier to travel long distances and cross state lines, these days. Many of us have to do it often, either for job or family and for those of us who carry concealed, it can be quite a headache wondering what state will allow your permit. 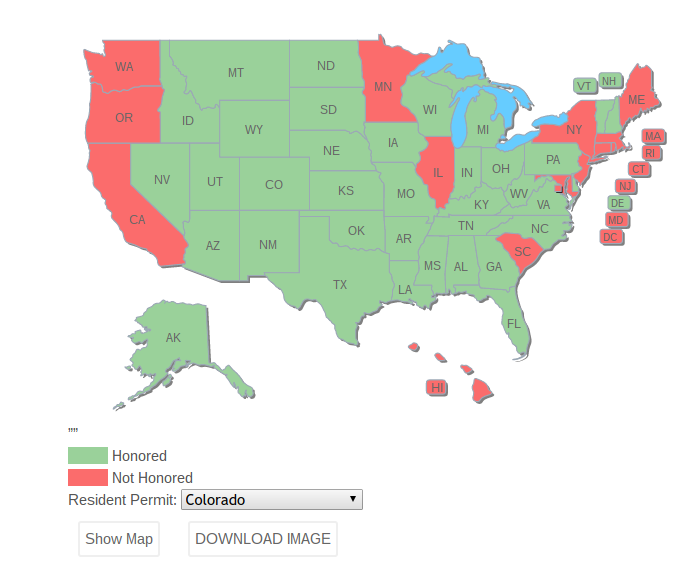 That’s why we have developed this handy Concealed Carry Reciprocity Map so that you can know easily figure out what states you can visit with your permit, and what states might need additional credentials. Today we’re going to go through the simple process of finding out this information and downloading the map itself, for your own personal knowledge. 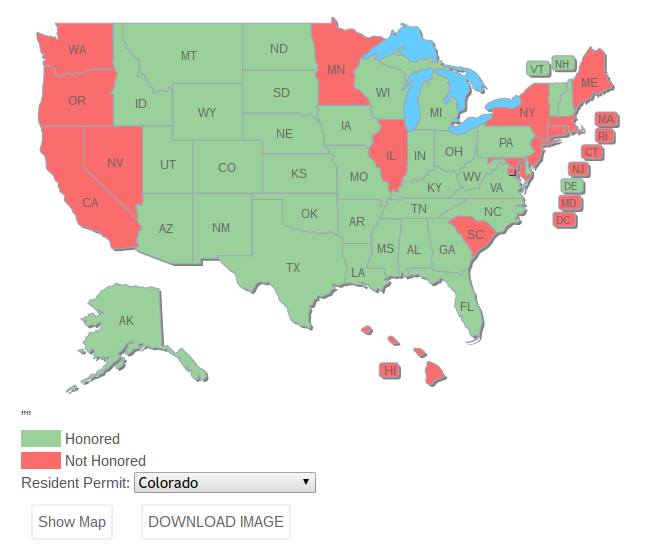 STEP 1: Go to our Concealed Carry Reciprocity Map. When you go to the link, scroll down slightly and you should see a map like this. 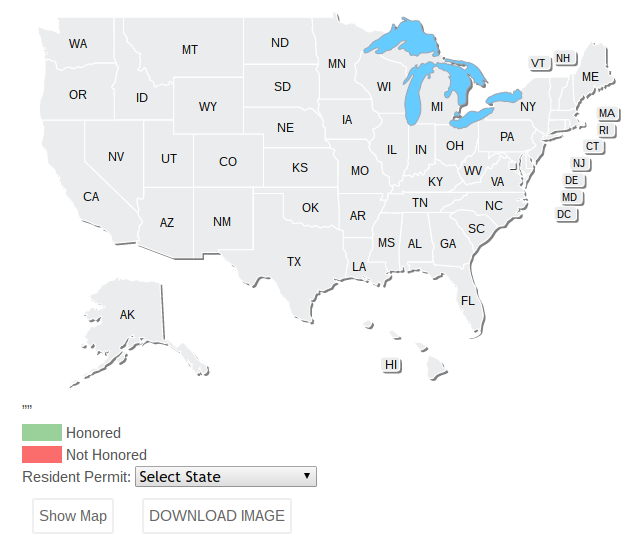 Just below the map, you will see a small drop down by “Resident Permit” that will list the 50 states. From there you just select the state you are a resident of. I am from Colorado, so I chose that. STEP 3: Add non-resident permits. I used Florida as an additional example here. 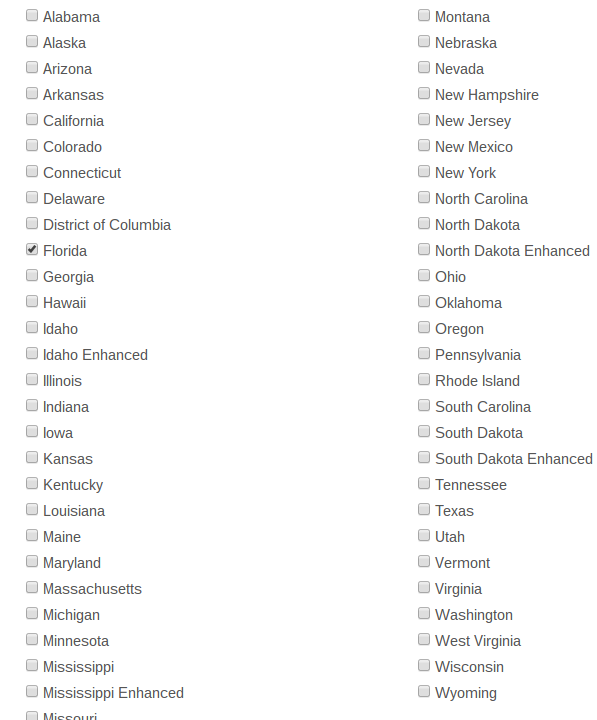 All you have to do is check the box next to the state you have a non-resident permit, and click “Show Map” again and you will see a new map showing the additional states that the extra permit would allow you to carry concealed, now. STEP 4: Download the map. Simple as that. All you have to do is click the “Download Image” button and you’re good to go, with your very own concealed carry reciprocity map, tailored specifically to you. Now, just as a bit of extra knowledge; we all know that gun laws are constantly changing, so it is a good idea to check back every so often in order to make sure that your map is up to date. So go ahead and bookmark us at https://www.concealedcarry.com/dynamic-ccw-permit-reciprocity-map-builder/ and you’ll be able to easily check up on any updates. Also, if you see a lot of red you may want to get a non-resident Virginia permit. It is valid in 28 states and all you have to do in order to qualify is watch some online videos at this link.